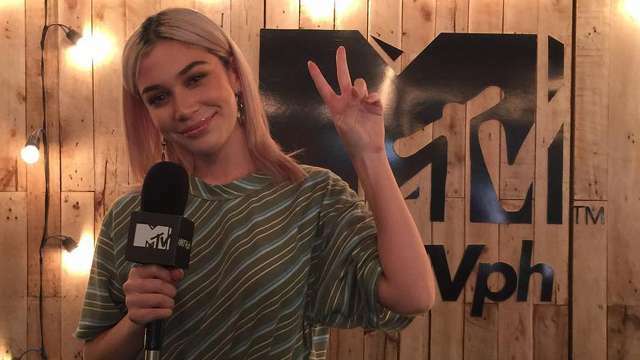 Last night, MTV Philippines presented its first ever MTV Buddy, singer and songwriter Jess Connelly. Twenty-five-year-old Jess is Filipino-Irish, born and raised in Australia. Jess’ parents exposed her to music at a young age. Her mother used to drive her all the way from Wollongong to Sydney every weekend for singing lessons. In the Philippines, she first became popular in the urban underground music scene, and slowly became one of the top acts of her generation—earning a massive online following of more than 80,000 followers. Aside from her music, her stunning looks and personal style, which she describes as “modern utilitarian with a touch of femininity,” are also setting trends. It was only a matter of time before she decided to make her major move in the music scene. Last year, she released a four-track EP in collaboration with CRWN. The success of the EP led to performing in more shows and tracks for her growing number of fans. From there, she has finally come full circle and has now found her place in hosting. As an MTV Buddy, Jess will be hosting MTV Fuel. MTV Fuel is a music, lifestyle, and culture show, which aims to ignite the passion of Filipino youth for pop culture. Joining her soon are the future winners of MTV Bud Hunt—the search for the next MTV Buddies which will begin later this year. MTV Fuel premieres on Saturday, September 23, at 8PM. MTVph is seen on Cignal Channel 151, Sky Cable Channel 71, Cablelink Channel 2,Cablelink Digital Channel 100, Dream Satellite Channel 9, and Destiny Cable Channel 71.